A sincere thank you to all FHS volunteers who make the Fallasburg pioneer village functional and accessible to all. Come and chat with author Emma Palova of Shifting Sands Short Stories in the beautiful historical setting of the 1850s pioneer village of Fallasburg this Sunday from 1 pm to 4 pm. Palova is a lifelong history buff with a passion for politics. She has been writing human interest stories for the regional media for more than two decades. See her July 5th story”Lowell Ledger reporter pens book of short stories” in the Lowell Ledger. Some of the FHS volunteers like Addie Abel inherited the passion for history from parents, Tina Cadwallader from her aunt antique collector and Ken Tamke who spent his childhood in the Fallasburg pioneer village. “You will see the same people involved over and over again in many different community organizations,” Emma said. And then, there comes hope in the next generation of historical buffs and professionals like Calvin College interns Katelyn Bosch and Brianne Lynn, who helped digitally catalogued artifacts for the FHS over the last two years. 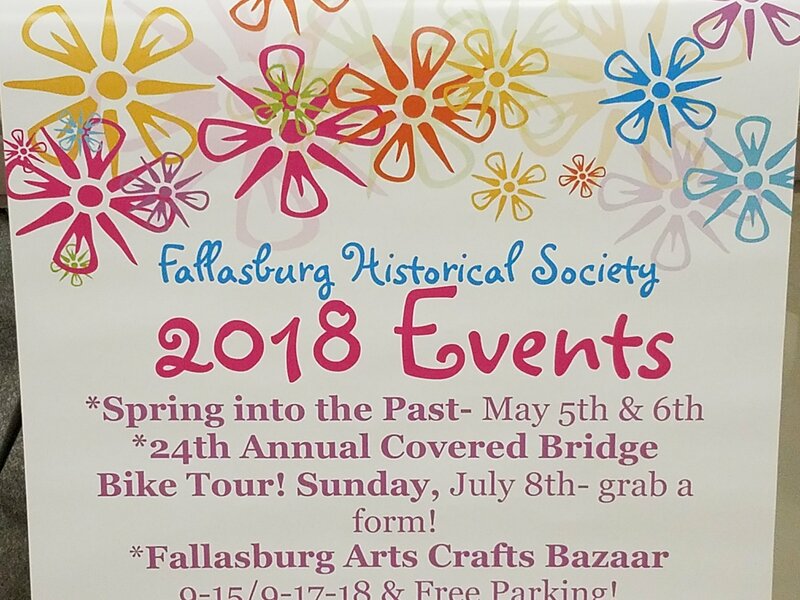 It is the vision, the passion and the synergy of all that keeps the Fallasburg village and other historical venues in the area alive. Come and see for yourself this season. The one-room schoolhouse museum is open on Sundays from 2 pm to 4 pm through September. Our next event is the Fallasburg village bazaar in September. Emma does social media marketing for the Fallasburg Historical Society and other historical networks. I love progress in history.